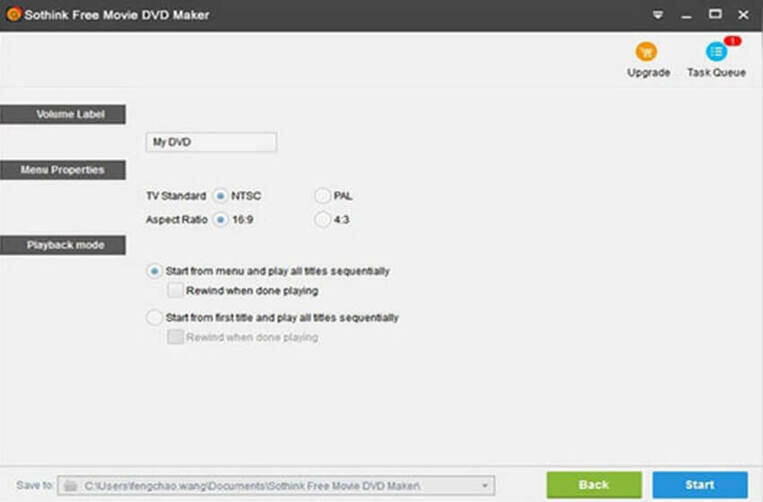 Best and free alternatives to Windows DVD Maker help you make DVDs in easy clicks! Windows 10 is the most new version of Windows from Microsoft and used by millions of people all over the world. People prefer DVDs to online movies because they're able to save the DVDs for long time and enjoy them anytime they want with their computer or DVD players. In this part, we're going to introduce how to make DVDs on Windows 10 with the best Windows DVD maker software. Wondershare UniConverter (originally Wondershare Video Converter Ultimate) is fully functional video converter and DVD burning program available in the online market for windows and Mac OS devices. This converter program is the No. 1 software which allows you to convert the files in the 30x faster conversion speed as compared to the others. It also offers you to download, convert, burn, transfer the videos with ease. The downloading allows you to download the online videos for free from the online video sharing sites without any issue with one click only. You can also do video recording of the screen with the voice for making tutorials. Add files to the Burn section of UniConverter. The first thing is that launch the program by double clicking on the software icon after installing it from above download link. Be default, you will enter the the Convert tab, so you need to click on the Burn tab which is third tab in the interface. Insert a DVD disc in the DVD writer of your computer and load the desired files by clicking the Load DVD button. Alternatively, you can add videos from your local computer by clicking the Add Files button. Set the DVD template and parameters. Select the DVD which you want to burn your videos at Burn Video to:, and choose the DVD template by tapping the left or right arrow. Besides, you can click the Edit icon to set the customized DVD template like DVD title, background, etc. After that, you can write the DVD label, Menu Type, Aspect ratio, TV Standard, Quality. Burn DVD with Windows 10 DVD Maker Alternative. After setting everything, you can click on the Burn button in the bottom right side of the interface to start the burning process. Please note that if you want to burn Blu-ray disc, then you need to choose the DVD type beside the Burn button before the burning process. Besides Wondershare UniConverter (originally Wondershare Video Converter Ultimate), there're also several other helpful Windows 10 DVD maker programs. In the following part, we'll list 7 of the most helpful DVD making programs. Check it out. 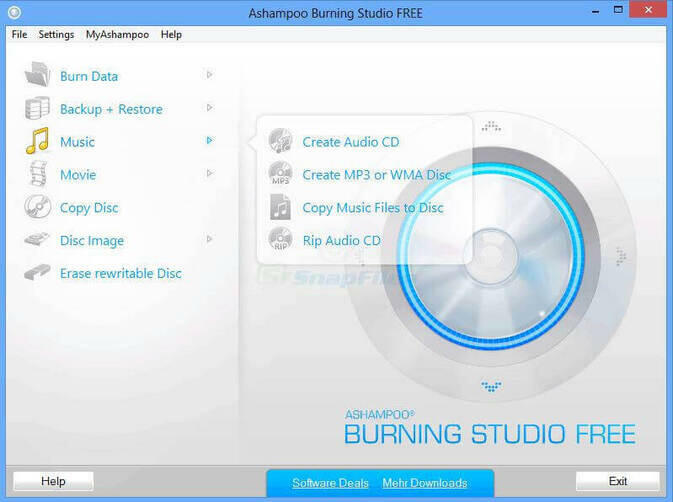 Ashampoo Burning Studio is a totally free DVD burning software that can help you in burning DVD on the windows operating system devices. This program allows you to rip the audio CD’s, burn DVD and video discs etc. The developer has tried to keep this program as simple as possible to use by everyone. This program is free but to get the free license key you have to enter your email id then the supports will send you free key. BurnAware Free is another windows program that fully supports windows 10 as well. This program help you in burning DVD, Blu-Ray, Disk images and make the bootable disks for free of charge. For the basic DVD burning this program is available for free of charge but if you need to create templates, menus and other options then you have to buy pro version of software. This program is very nice for the beginners as well as for the people who needs to finish the things quickly. Total Video Converter is a DVD usually used as converter software but it also has the burning features which can burn your files to the DVD. There are mostly all known and unknown video audio formats supported by total video converter for converting and burning the files to the DVD. If you are looking to convert the normal videos to play on the iPhone, iPod, Xbox 360, PSP then Total video convert can be right choice for you. 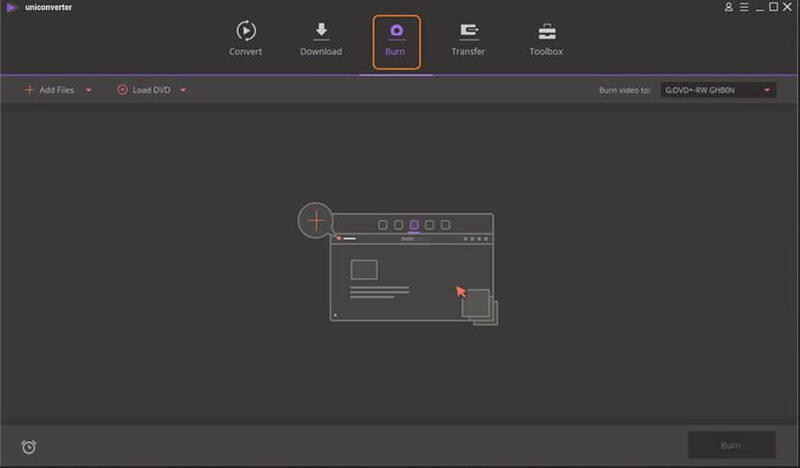 Simple easy to use interface with drag & drop functionality. 158 audio video formats are supported to convert and burn files. You can extract the audio in the different audio formats from a video file. This program is also a good option if you need to make the DVD of your system files or videos. It can easily burn DVD from the downloaded videos, files, folders and camcorder videos etc. There are mostly all known and unknown formats supported by this program and allow you to make DVD just by simply dragging and dropping the files in the program interface. Converter is also provided in the program that can help you in converting videos to DVD format before burning. Burn the DVD and get output in the DVD image file or folder. Supports file conversion of all formats to the DVD format. Easy to use interface allows everyone to use program without much effort. You can easily play DVD in the windows 10 operating system but sometime people face issues of not detecting the DVD in the computer etc. We will discuss two major issues and how to solve them here now. This is a very common problem faced the DVD users in the windows 10. The very basic thing you can check the windows update in windows 10. Click on the Setting > Update & Security > Check for Updates. If the updates are available then download the latest updates for windows 10. Step 1. First in the windows search bar write “Device Manager” and press enter. After opening the search bar double click on the DVD/CD-ROM drives. It will expend the options of DVD drive. Step 2. Now right click on the expended icon and click “Uninstall” button. It will reinstall the drive for DVD/CD-ROM drives and your problem will be solved. We're going to introduce how to make a DVD slideshow with a DVD Slideshow maker program, Wondershare DVD Slideshow Builder Deluxe. Step 1. Run the software first on your system and from the main welcome screen of software click on the “Standard Mode”. You can also choose advanced mode for the advanced options. Step 2. After opening the standard mode drag & drop the pictures or videos which you like to use in slideshow. You can also add files by using Add Files button. Step 3. 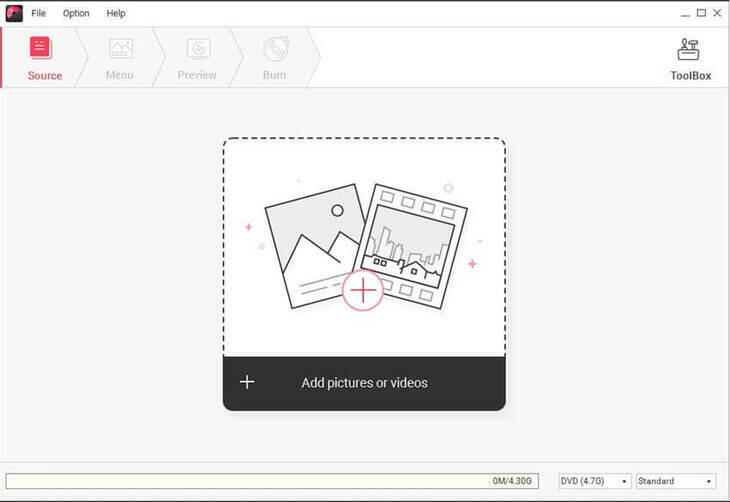 Now arrange the order of videos and photos for your slideshow. Arranging is possible by dragging photos from left to right or right to left. Step 4. After arranging the order of your slideshow, click on the Personalize button from the top left side and choose cool effects. From here you can apply audio effects, 3D transition effects, visual effects and different types of themes on the pictures. Step 5. Now you need to click on Create button from the main menu. Here you will have options burn to DVD, save to computer, save as HD and save to mobile device. You can choose anyone from here and share your slideshow with the friends. Windows DVD maker programs are usually compatible with mostly all versions of the windows but some software specially developed for the specific version of windows and they work like a charm on that specific windows version. In this part, we're going to introduce the helpful DVD making programs for Windows 8, Windows 7 and XP. Windows DVD maker is built-in software that is available in Windows 7. This tool is totally free and provided by the windows itself for burning and making DVD for the windows users. Let’s see how to burn the DVD with the following tutorial. 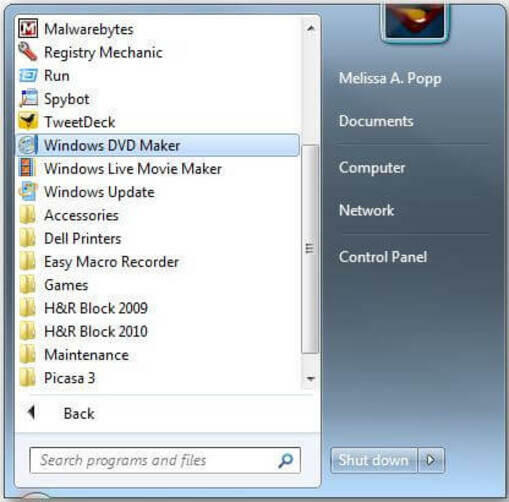 First click on the Start menu in windows 7 and type Windows DVD Maker in the search bar, and then double-click the icon to start the program. Now simply click "Next" button in the instruction box to continue. Do necessary setting for DVD burning and insert DVD in the DVD writer of your laptop or computer. From the main screen of Windows DVD maker click on the “Add Files” button and browse videos or other files from your computer. 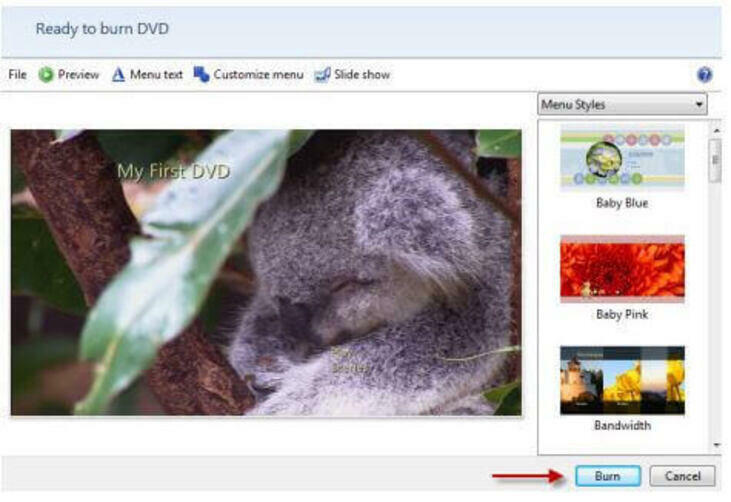 After customizing templates, menu, fonts etc click on the “Burn” button to start burning videos to DVD with the program. This will finish automatically in some time. CDBurnerXP is a free Windows 8 DVD maker application that allows you to make beautiful DVD with the cool thumbnails and effects. This software comes in the variety of languages so you can choose which you understand for reading. This program can be used for free of charge by any company or any individual person. With the CDBurnerXP program you can burn all types of disks, make bootable cd and DVD or make ISO files very easily. Leawo DVD Creator program is very easy to use software that is fully compatible with all of the windows operating system versions. This is a professional Windows 8 DVD Maker program that allows you to create homemade DVD’s on your windows 8 computer right away in the fast speed without wasting much time. With the program you can create ISO image file, folder, DVD-5/DVD-9 etc. 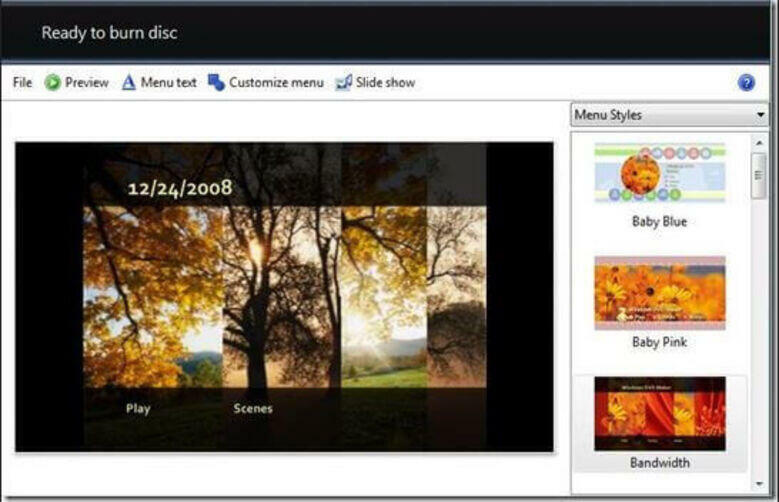 There are near about 40 disc menu and model templates available for burning DVD. Free Video to DVD Converter is a totally free of charge program with the power of converting videos in different formats and burning them directly to DVD. Once you have burned those videos to the DVD you can play them on any of your DVD players including your home DVD player. You can burn multiple video files in batch together, create functional DVD menu without any spyware or adware issues. DVD Flick is a very user friendly windows 7 program that allows you to make DVD on the windows 7 systems. It supports mostly all audio video formats for creating DVD. You can also add subtitle files with your videos before burning them to the DVD in the DVD Flick. With the program you can also edit thumbnail time, aspect ratio, thumbnail time index etc. DVDStyler is an open-source DVD Maker program for Windows 7. DVDStyler can make beautiful DVDs for you with the customized templates. You can not only burn the video using this program but also design the individual DVD menus. Both Windows and Mac versions of this program are avaiable for you to download. DeVeDe is another free program for windows 7 computers that can help you in making ISO files from the system videos. It supports making ISO files only so to burn that ISO file to DVD you have to use other DVD burner software. With the help of this software you are free to make custom menu background, play ISO creation for preview and add music to the videos. This is a cross platform program so you can download and use it on the mostly all popular operating systems. Aimersoft DVD Creator software is a program that supports windows XP operating system for creating burning DVD’s. Aimersoft DVD Creator is a best solution if your need is only burning videos to DVD and if you are not finding the windows XP software in the 2019.There is no issue of compatibility in the software because it can be easily used on the windows XP. There are over 40 DVD menu templates available in the software that can be used with your DVD while burning for free. DVD-lab PRO is another windows XP program that is fully compatible with the windows XP. This program offers you a very simple and easy to use interface to burning DVD. This program is good to use for the personal and advanced users who need to design beautiful DVD’s for their customers. It supports mostly all audio video formats and you can have up to 8 audio channels in the program. iSkysoft DVD Creator is a professional easy to use DVD creator software that can help you in burning DVD’s with ease. This is used by millions of professional and personal users worldwide to make beautiful DVD’s. This is fully compatible with the windows XP/7/8/10 versions. 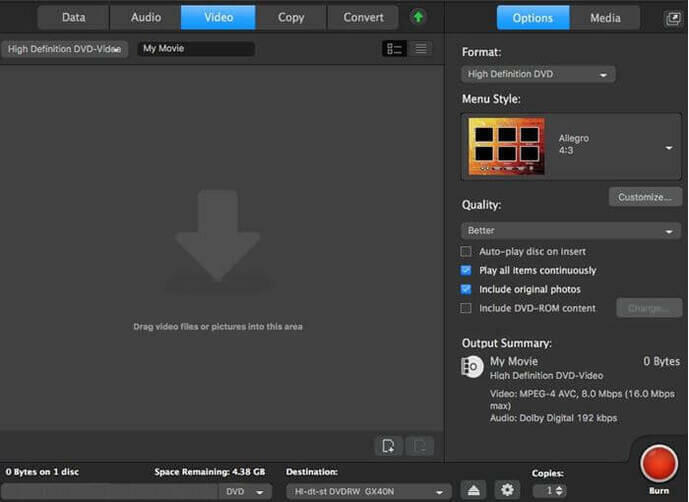 With the iSkysoft DVD Creator you can edit the videos, personalize DVD templates, menus, add subtitles to the videos etc. This is not a simple burning tool even it allows you to do all the changes what you need to do before burning videos to DVD. Windows 8 and Windows 10 have the similar process of burning videos to DVD, if you want to learn more about the details, you can take a look at Part 1. Windows 8 is an easy to use operating system with graphical user interface but sometimes people face issue in simple things as well such as burning DVD in the windows 8. Windows 8 offers you to burn DVD without installing any third party software on your computer. Here are going to show you a step by step tutorial about how to burn photos to DVD in Windows 8 without using a DVD maker. 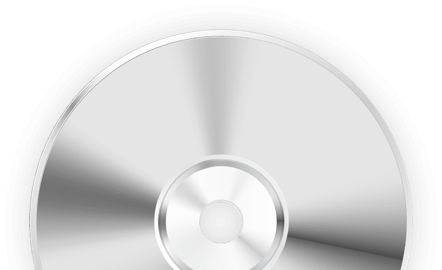 Start your Windows 8 computer or laptop and insert a blank CD/DVD in the DVD writer of your system. 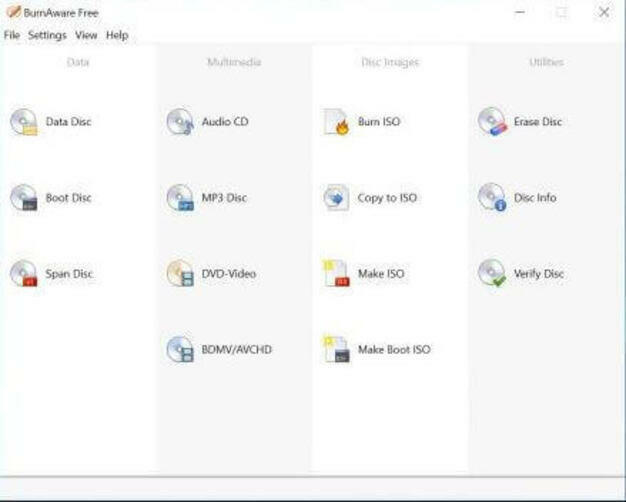 Go to the “My computer” now and double click on the DVD drive storage removable media icon. After double clicking on the icon a burn disk box will open. In next to the “Disk Title” field type the needed title for your new DVD. Click the “With a CD/DVD player” option to select it the click on the “Next” button. In the new window, which is opened copy the photos that you want to burn to the DVD. 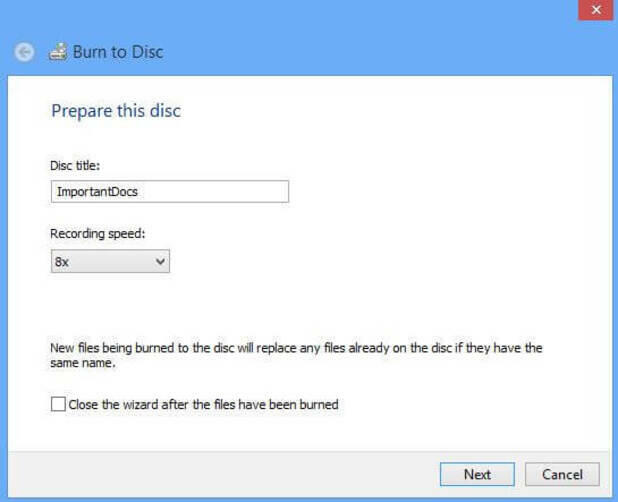 Now paste the copied content in the blank CD/DVD window and right click in the blank area then click on “Burn to Disc” option. Now select the needed writing speed from drop down and finally click on "Next" button to start burning. After finishing the burning process simply click on the "Done". In Windows 7, the operating system has provided built-in Windows DVD Maker that can help you in burning video and photos to a blank DVD. Windows DVD Maker also allows you to make slideshow with the help of inbuilt tool. This is very easy to use and you can make slideshow and burn DVD without any installation of third party software. 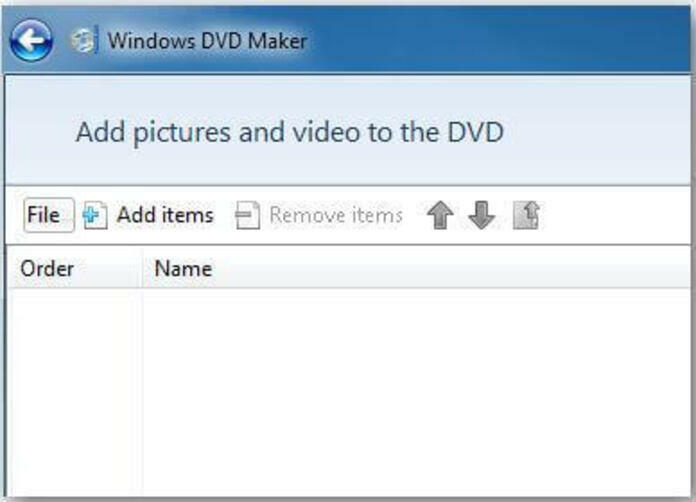 Start Windows DVD Maker and click the Add items button to add the pictures from your computer to the program. After adding the pictures into the program, the software will display as a list. You can order the photos by clicking on Up or Down arrow at the top of the main interface. For more options such as aspect ratio, playback setting, speed etc. You need to click on the “Options” at the bottom right side of interface. Finally click on the “Next” button now. In next step, you will see about 20 different templates for your slideshow offered by Windows DVD Maker. You can choose any professional looking style template for your slideshow from this window. After setting everything as per your need you need to click on the “Preview” button in the next window at top left side and then click on the "Burn" button to start burning slideshow to the DVD. In few minutes your DVD slideshow will be ready and you can play it on any DVD player. Playing the DVD is really simple on the ordinary DVD player at your home but if you are going to play DVD in a computer or laptop then you need a player which supports playing DVD’s. Some players can only play CD files so here we are going to list 5 top players for the windows 8, 7 and XP versions. 5KPlayer is a most popular windows operating system player that supports all the popular audio video formats for playing the video and audio. You can play all format files even they are known or unknown formats in this player. 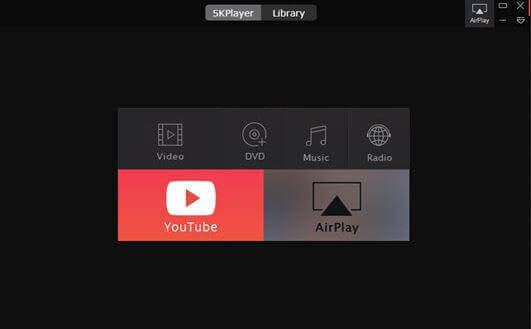 This is not just a video player even it allows you to Airplay the videos, download videos from internet, play radio and convert the audio and video files as well. The interface of this program is also very easy so you can play the files without much issue. This is Mac version of the software is also available for Mac users. 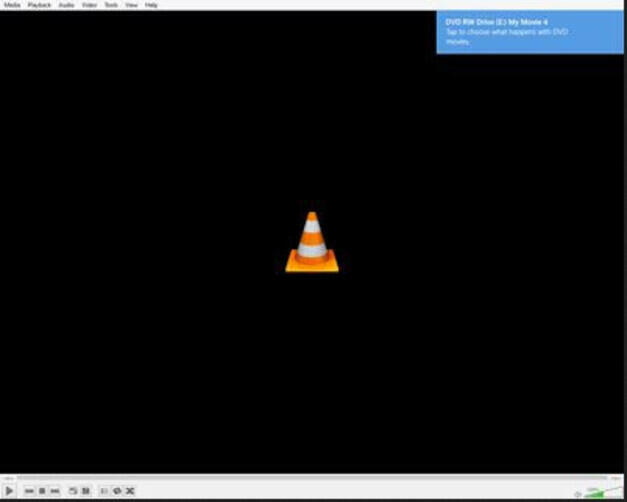 VLC is the most popular free and open source software used by billions of worldwide users. It supports playing both audio and videos on your computer. This is cross platform programs so you can download it on the windows, Mac, Linux, Android, iOS and many other operating system devices to play the multimedia files. There are all versions available on the official website and you can get them for free without any charge. While playing videos in the VLC media player you will never face issue of ads. VLC is fully compatible with the windows 7, 8 and XP. Windows Media Player is a default media player that comes in the windows to play the multimedia files such as audio and video. It also supports playing DVD. This program is available in the windows 7 and below versions of windows. Windows Media Player is compatible in playing mostly all common video and audio formats. This player is built-in available so there is no need to install any other software or pay anything to watch videos. 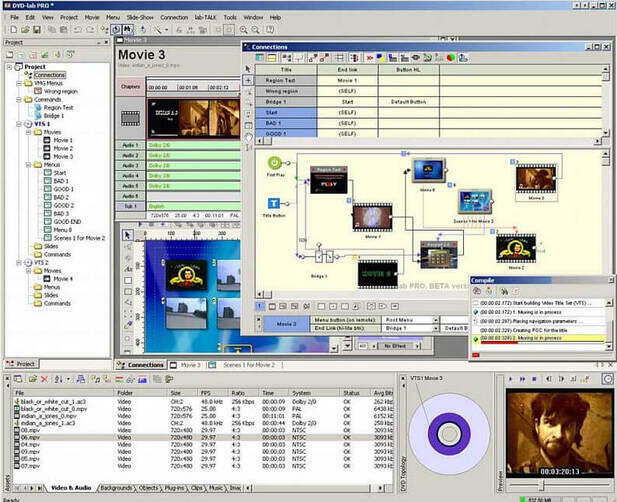 GOM Player is a paid program that helps you to play DVD in your windows laptop and computers. This program can directly show all movie names and allows you to play any part of DVD by clicking on the movie or part name. This DVD player app also comes with the remote control that can be installed on your iOS and android devices to control the playback using your mobile. The issue with this app is that there are no help documentations available about how to use the program. WinX DVD Player is a very cool looking and powerful windows and Mac operating system DVD player program that allows you to play DVD in your computer and laptops. 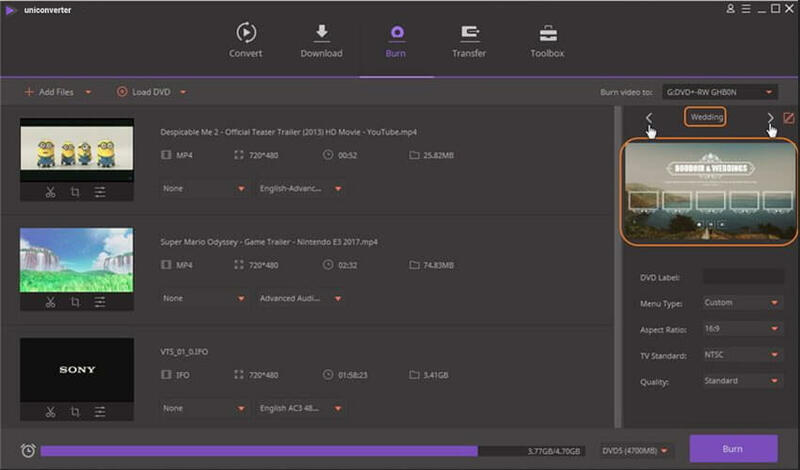 This player provides you very high quality video and audio outputs with the compatibility in playing all popular audio video formats. There are so many other functions available in this DVD player that allows you to bookmark any part of video, take screenshots etc. VLC media player is fully compatible with all versions of windows so you can download it on the windows 8, XP or Windows 7 for free of charge. After downloading from the official website run the software and follow the steps below to watch the DVD’s on windows computers. 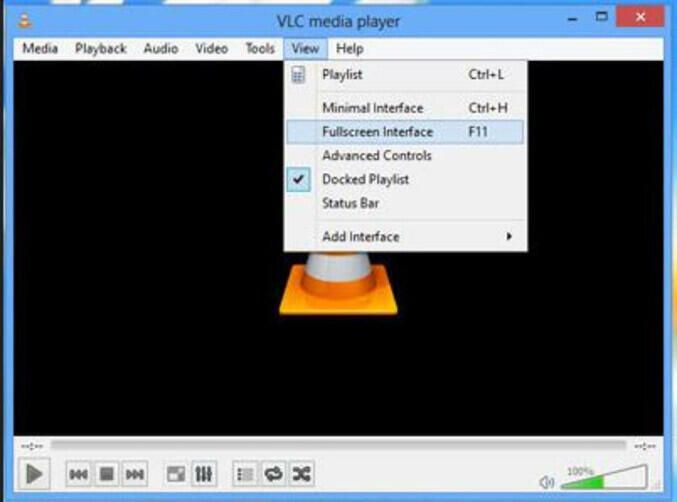 Run the VLC media player on your computer and click on the “View > Fullscreen Interface” option. Now VLC will be there in the full screen. Make sure to insert DVD in your computer or laptop DVD drive. If still you have not inserted then insert the DVD. A popup will be displayed in the top right corner of your system if you have inserted the DVD first time in your computer asking you "What happened when a DVD is inserted". 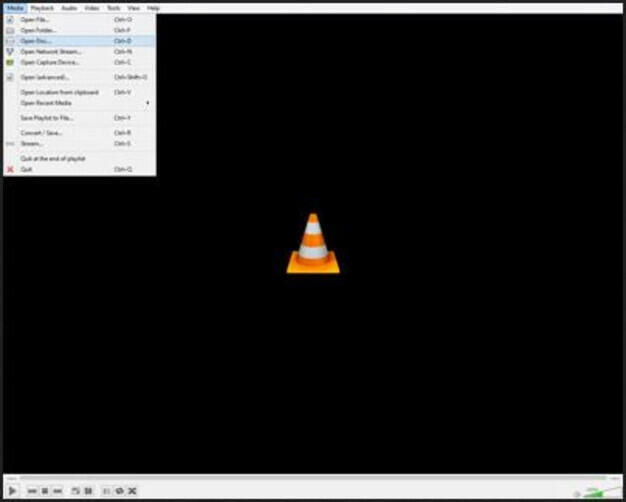 Now if you want to play DVD by default in the VLC media player then click Play DVD movie VideoLAN VLC media player. If you have clicked on the “Take No Action” in the popup then click on the “Media > Select the Media > Open Disc” in the VLC media player. After choosing the DVD simply click on the “Play” button in the popup. From this popup you can also choose alternate subtitle track before starting the playing your DVD. Now your DVD will start playing on the windows. You can control the playback by using playback control buttons at the bottom of screen. 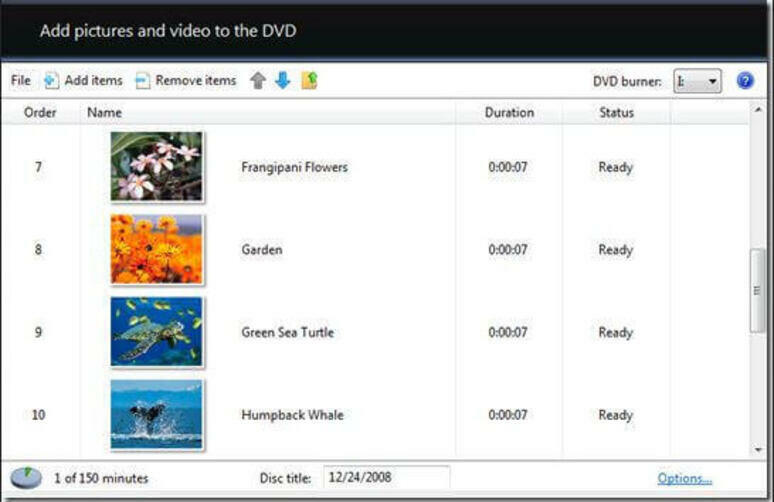 Window DVD Maker is an inbuilt windows app with the feature of making DVD. This program is a built-in DVD burning program in Windows 7 operating system, and it allows you to burn homemade videos and digital photos to the DVD for free of charge. If you need to customize the DVD menu bar before burning then this is also possible using this program. How to Get It: First click on the windows icon from bottom right side and look at the search bar. Type “Windows DVD Maker” in the search bar, and you'll get the shortcut to the program. In the windows DVD maker you get some DVD menu styles to use with your DVD before burning. Windows DVD Maker doesn't provide many DVD menu styles, so you can try Wondershare UniConverter (originally Wondershare Video Converter Ultimate) to get more DVD menu styles. If you need to design fonts, colors of DVD title then this is also possible in this software. Step 1. Search Windows DVD Maker in the Start menu, and then start the program. Now click the Add items button to add files into the program. Step 2. After setting all the DVD files enter the DVD in your DVD writer and click on the “Preview” button if you need to preview your DVD before burning. Step 3. After watching preview if everything is fine click on the “Burn” button from the bottom of interface then the DVD burning will be started and finished automatically in few minutes. Sometimes people face some issues while burning DVD using the Windows DVD maker. There are some common issues which faced by people. Let’s learn about how to solve these common issues. It happens when you try to use two DVD+R DL disc (8x/8.5GB/240min) then it not shows exact minutes. #1 If you thing this is a filter issue then click on the filter and in the next to the video filter label uncheck the sign. After following the above solutions restart your Windows DVD maker and try to burn DVD again. The reason of not playing a DVD in the DVD player is the incompatibility of the PAL or NTSC mode. Solution: click on the “Options” from the Windows DVD maker interface and then check the mode there. If it is in the PAL then you need to change it in the NTSC mode. Now select the DVD burning speed medium. Now you will not face this issue again. Is there any helpful Mac DVD makers available in the market? The answer is yes, but sometime we'll spend much time selecting the one that is best for you. In this part, we're going to introduce the most helpful DVD makers for Mac user, and these programs can help you to make DVDs eassily. Wondershare DVD Creator for Mac is also a nice application for the Mac devices to burn the DVD’s. This DVD creator software enables you to create DVD folder, disk and ISO files as well. There are mostly all common formats supported by the software for burning files and videos to the DVD. Some editing options also available in the software that can help you in the trimming, cropping, watermarking the videos before burning them to the DVD or CD. There is a built-in editor available which allows you to rotate, trim or crop the files before burning them to the DVD. Supports more than 150 audio video formats for burning files to DVD and it allows helps you in burning videos to Blu-ray DVD folder, Blu-Ray disc with ease. More than 100 templates available to use with your DVD. Roxio Toast Titanium is another paid program for the Mac users that allows you to burn DVD with ease on your Mac operating system devices. This Mac software can burn both CD and DVD. Another great thing of the program is that it can also burn the data files to the DVD. With the burning features there is recording of video and audio also allowed in the software for making tutorials. While using this program you can also do necessary editing of your videos. The issue is that the program is not pocket friendly and costs huge amount as compared to the others. It allows you to burn the DVD on your Mac and you can make DVD with the complete chapters, menus and titles. Capturing option is there that allows you to capture your computer screen with the audio to make tutorials. Conversion is also allowed in the software so you can convert audio and videos to the most popular file formats for easy playing on any device. 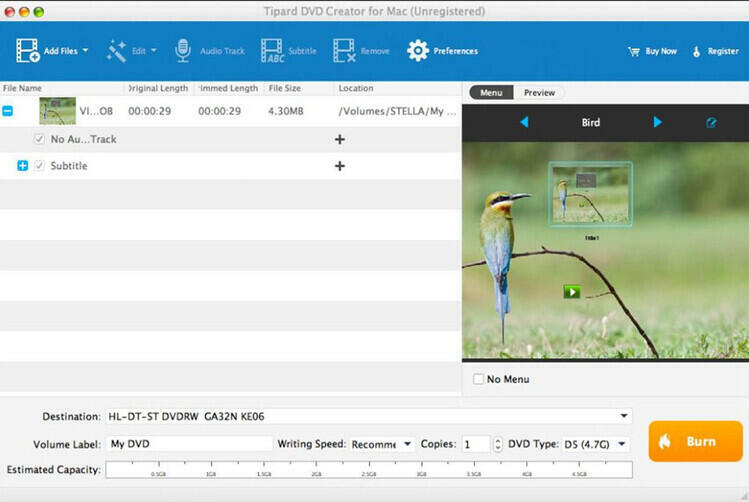 Tipard DVD Creator for Mac is also a nice application for the Mac devices to burn the DVD’s. This DVD creator software enables you to create DVD folder, disk and ISO files as well. There are mostly all common formats supported by the software for burning files and videos to the DVD. Some editing options also available in the software that can help you in the trimming, cropping, watermarking the videos before burning them to the DVD or CD. Video editing options allows you to edit the videos or files before burning them to the DVD. If you need to add subtitles to the videos then you can add separate subtitle files as well. There are more than 100 built in DVD templates available that helps you in the beautifying your DVD. Express Burn is most powerful free DVD maker software for Mac. This program is very easy to use and the great art is totally free of charge available from the developer. The only limitation of the software is that you can’t use it for the commercial for free. The program is very stable and available in a very user friendly interface as compared to the others. It allows you to burn audio, video and files to the Blu-Ray, DVD’s and CD’s for free of charge. Program interface allows you to directly drag and drop files from your Mac drive to the interface for adding files easily. 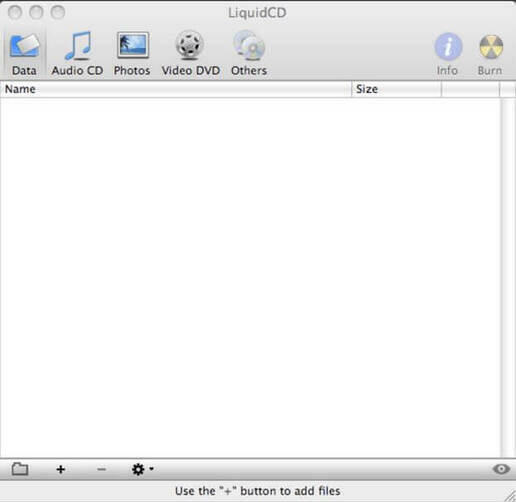 LiquidCD is free Mac operating system software that is totally free of charge available. The great benefit of the software is that it allows you to burn number of files together in the different formats. Most common video audio formats are supported by the software. With the LiuicdCD Mac software you can also add custom icon to your DVD before starting burning process. If you have iSO files and looking to burn it to the DVD then this is also possible. Burn is free DVD creator software that can help you in creating DVD for free of charge. This program is very simple but powerful DVD creator software. 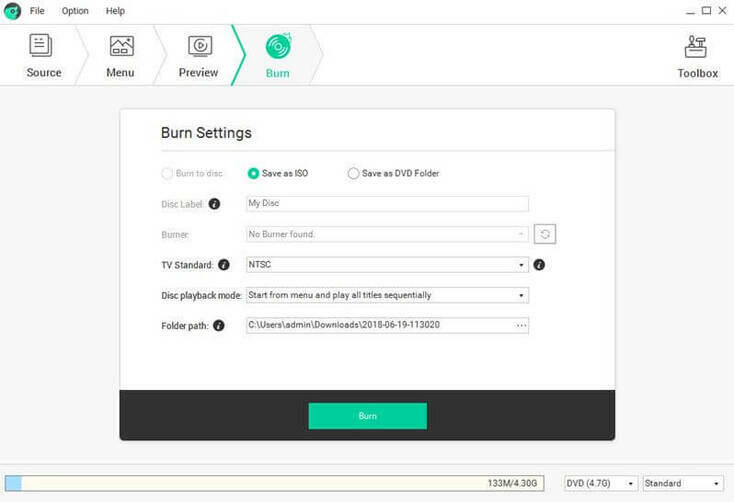 Burn allows you to burn mostly all types of files such as videos, audio, text documents etc. This is easy to use software that allows you to simply drag & drop files to the program interface for burning. You can also create ISO files with the program or burn ISO from your Mac to the DVD directly. If your files are not in the DVD compatible format then the program allows you to convert the format of files. 4.1 Is There Any DVD Maker for Ubuntu? Obviously, there is some Linux software available such as Nero, OpenShot etc. over internet which supports burning DVD’s on the Ubuntu operating system devices. OpenShot is open source software so you can download and use it for free of charge whereas Nero is paid so you can buy and use Linux version of Nero DVD Maker to burn your DVD discs. Just like the Nero and Openshot there are so many program can be used to get the work done but not all are available for free of charge. Step 1. First buy the software from the official site or download and install the trial version. Once installation is completed launch the program on your computer. Step 2. By default Nero DVD window in the starting. If it’s not then click on the New at the top left side and select DVD (1) from the menu for burning DVD. Now choose the writing speed 4x (3) if your player is old. Finally click on the “New” button. Step 3. Now you need to find the files from your computer which you like to burn in the DVD so browse the files in the Nero interface and make sure to keep all those files in the VIDEO_TS folder. Make sure that you have all files in the DVD format otherwise you have to convert them first before burning. Click on the “Burn” button after adding files. Step 4. Make sure the write speed is same what we told in the step 1 and click on the “Burn” button at the bottom right side. That’s it now the Nero will start burning your DVD and it will be finished in some time automatically. WinX DVD Author is a program that can be used as DVD menu maker program on Windows operating system. It's pretty easy to make a DVD menu with this program, and the following guide will show you how to get the work done. Step 1. To begin making DVD menu you must download and install the software. Run the Software now and then insert the blank DVD in the system DVD writer. Step 2. After running the software on computer click on the “Video DVD Author” option which is there in the top right side of the program. This option is useful in burning DVD with menu. Step 3. Now click on the “+” button the bottom let side and import the video files from your computer hard drive. Step 4. After adding files click on the “Next” icon to get accesses to the menu creating controls. 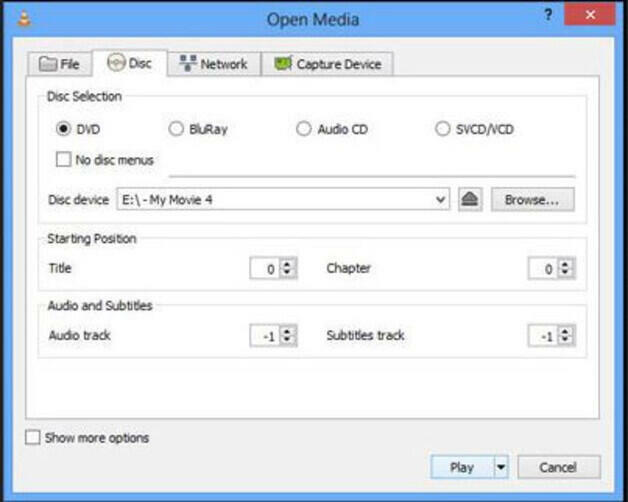 Personalize your chapter menu and DVD menu in this step. Step 5. Choose a background picture by clicking on the available background templates. Now create title menu by clicking on the “Title Menu” icon. If you want to change the title menu button image then double click on the video clip. Click the button “TT” to add background text and then click on the “+Sound icon” to add background music. Step 6. After setting all the things and making your DVD menu click on the “Next” icon, Choose output Folder, encoder engine and output format. When you have completed all the settings simply click on the “Start” button to start burning the DVD with menu. A DVD Title maker is usually software that helps you in burning DVD’s and beautifying them by using different types of templates, text and styles. There are many different types of DVD title maker software and apps available in the market which are easy to use and helps you in making title for your movies created by yourself. In the windows 7 operating system there is by default windows movie maker available which is totally free to use and you won’t be charged anything. 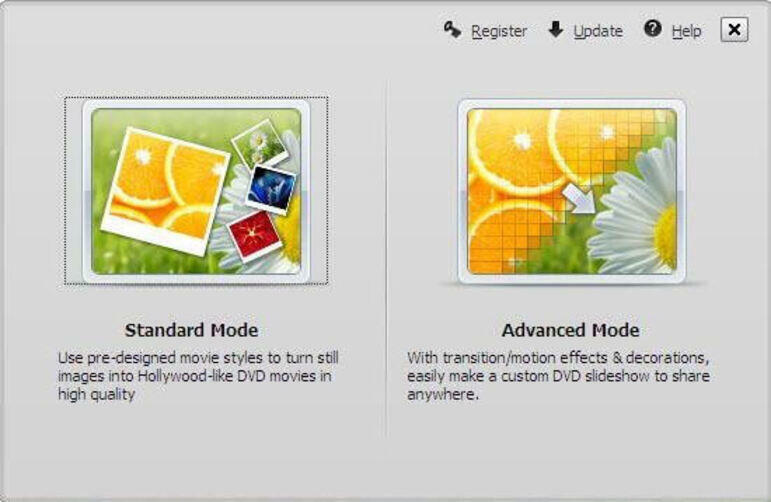 You can directly use this movie maker in windows without any installation of other third party software. Step 1. Start the windows movie maker in your windows 7 OS and click on “Import Media” option. Now browse the files in the popup and select which you need to burn in DVD. Click the “Open” button after selecting files. Step 2. Now move all the files to the storyboard section in the windows movie maker. To add the files in the Storyboard click on the “Add Files” and then click on the “Add to Storyboard” option. You can find this option in the Menu section. Step 3. In the “File” menu click on the button “Publish Movie”. This button is helpful in making DVD for you. In the new popup box choose the publish destination as DVD then click the Next button. Now the window which is open there clicks on the ok button. Step 4. In the DVD making window, choose a title for the DVD and save it with the same title. Now click on the Save button and the program will be launched automatically. Check all your video files are available then click on the “Next” button. Step 5. If you want to beautify the DVD menus text now then click on the “Menu Text” and prepare the menu according to your choice. After changing the entire things click on the “Customize Menu” then click the “Change Style”. Now all changes will be saved. Step 6. After setting up all the things you are now ready to burn DVD. Click on the “Burn” button and the DVD title maker will start burning your DVD. 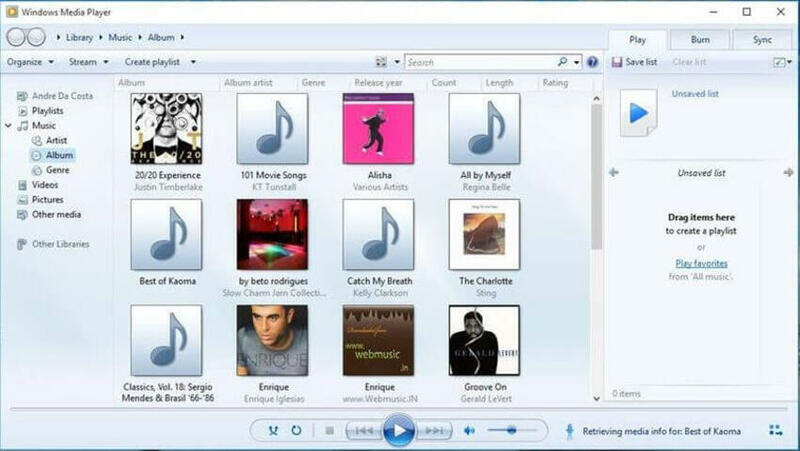 Windows Media Player is usually known as a simply software that can play your multimedia files in the windows devices but this is not only a player. This program can also be used to burn DVD or add music to the DVD without any charge. Let’s see how to add music to DVD with the windows media player. Step 1. First make sure to insert a blank DVD in the writer of your laptop or computer. Now open the windows media player and click on the “Burn” button from the top interface. 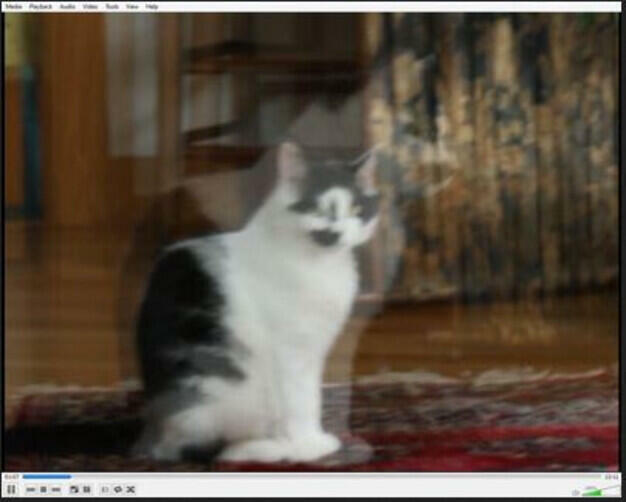 Now you will notice a burning pane in the right side of windows media player interface. Click on the albums and playlists then drag the music in the burn pane which you want add to the DVD. Step 2. Continue dragging songs until you have not added all the songs. Finally click on the “Start Burn” at the bottom of burn pane to start burning. That’s it. DVD Encoding is a method which allows users to secure or compress their videos and other files of the DVD. Usually video formats are than the DVD format will not work on a DVD player so if you need to play those files on the DVD player then you needs to encode the DVD videos and audios in the DVD player formats. There are many programs available such as Wondershare UniConverter (originally Wondershare Video Converter Ultimate) which allows you to encode all the video in your DVD player. DVD Decoding is just opposite to the DVD encoding. DVD decoding means decode the DVD format to the other formats to play on the other devices. You can decode any DVD using DVD decoder software just like the Wondershare UniConverter. It can decode and convert the DVD format to play the videos on your computer and other multimedia devices players. Again the Windows Media Player is a nice option for you if you are looking for a free way to add music to a cd. Windows media player allows you to burn the CD but not give you much control like the Nero or other cd and DVD burning software. The great thing of using windows media player to burn the cd is that it is free and doesn’t require any third party software installation. This is a very handy app that allows you to burn the CD and that can be played anywhere. Step 1. In the windows 10 go to the search bar at the bottom left side and type “Windows Media Player”. 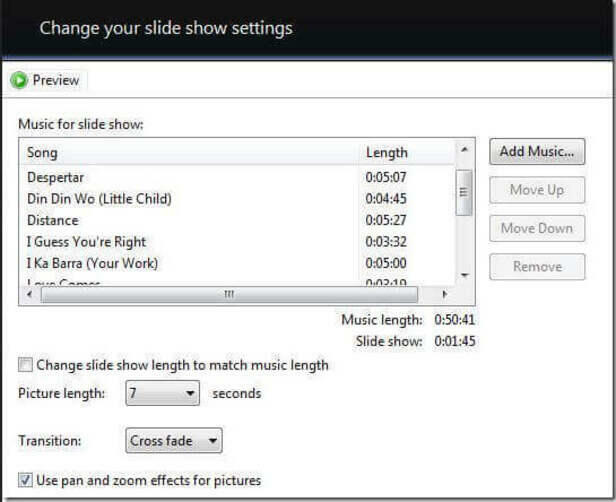 From the list select the windows media player now. After opening the player click on the “Burn” tab from the upper right side. Step 2. Now look at the file explorer in the left side area and look for the music files on your system. If you are unable to find the music files in the music library then simply drag and drop the music files from your computer drive. Now drag all these files in the burn list at the right side pane of the windows media player. Make sure to add up to 80 minutes of music files because CD can’t store much files. Step 3. Finally after adding the music in burn list, click on the “Start Burn” button from the upper corner of the burn pane. That’s it. Burn My Files is free easy to use software for burning cd and DVD. This program supports burning music, video and data files to the DVD and CD’s. There is a trial version of the software available to test the program with all features for 30 days but after that you have to buy it. Let’s see how to burn videos to a cd with the help of this program. Step 1. Run the software on your computer after installation and then click on “Burn Music Disk” from the left side pane. Make sure to insert CD in the writer of the system. Step 2. Now to burn a video file click on the “Video File” option and select the videos from your computer which you want to burn to the CD. Step 3. Once you have selected all the video files which you want to burn then burn my file program will automatically detect the size of added videos. If the disk color is green then you can proceed. Once you are ready and everything is fine click on the “Burn Video” button at the bottom right side to start burning. That’s it. The very thing is to insert a DVD or CD in the drive of your laptop or computer. Now open the CDBurnerXP software and click on the Data Disk then click “Ok”. Step 2. At the top of the interface navigate the pictures from your computer. Now to add the pictures for burning drag them from the top right side interface to the bottom right side. You can also select the pictures then click on the “+” button to add for burning. Now click the “Burn Disk” button after adding the pictures for burning. Instead of pictures, music and videos it is not possible to burn the other types of data using some simply as compared to the music, pictures and videos. For example if you like to burn PowerPoint slides to the CD then you can do it using the PowerPoint itself. It allows you to make the data CD but this is little hard. So, let’s see how to burn PowerPoint data to the CD. Step 1. Insert a blank CD in the computer writer. Run your PowerPoint presentation then click on the “File > Package for CD option. In the package for CD dialog box give the name to your data CD. Now click on the “Options” and change the default settings as per your need. Click on the “Ok” button to go back to the “Return to the Package Box” dialog box. Click on the “Copy to CD” button now in the dialog box. Step 2. The copy the CD process will be initiated now and once completed it will show you a completed dialog box. After finishing the process it will ask you to copy the same data to another CD then simply click on the no if you don’t want to copy. Nero can help you in burning all types of CD’s and DVD’s as this is the most popular cd and DVD burner program. If you want to burn a cd using this software then you can follow the steps below. Step 1. Run the Nero cd burning program on your system. Choose the Data CD from the options then click on the “Add” button to browse the files which you want to burn. Step 2. Now select the single or multiple files then click on the "Add" button to finish adding. Step 3. After adding files click on the “Next” button and in the new window click on the "Burn" button to start burning. 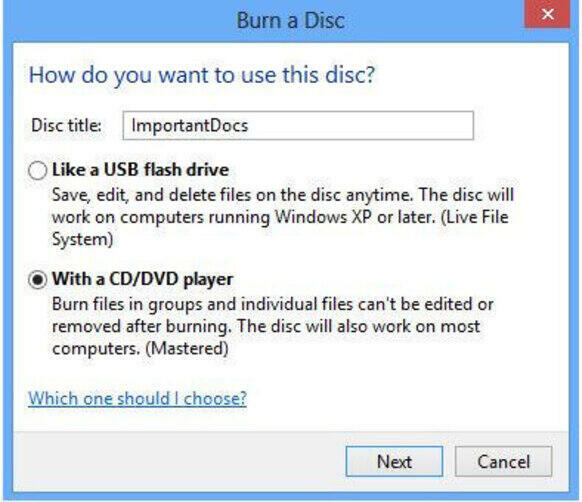 Once the CD is burned click on the “Done” button then CD will be ejected automatically from DVD writer.